For those of you who are not aware, Edwyn loves his sleep. 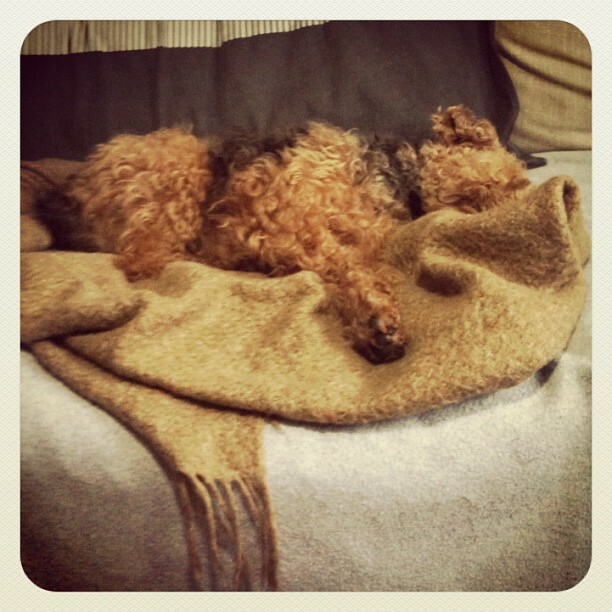 Since the nights have drawn in and the temperature has dropped out came my favourite sofa blanket. The one I like to cuddle up in while watching Strictly Come Dancing or Downton Abby . Only now, as documented on Instagram, it has now been well and truly purloined by Edwyn. 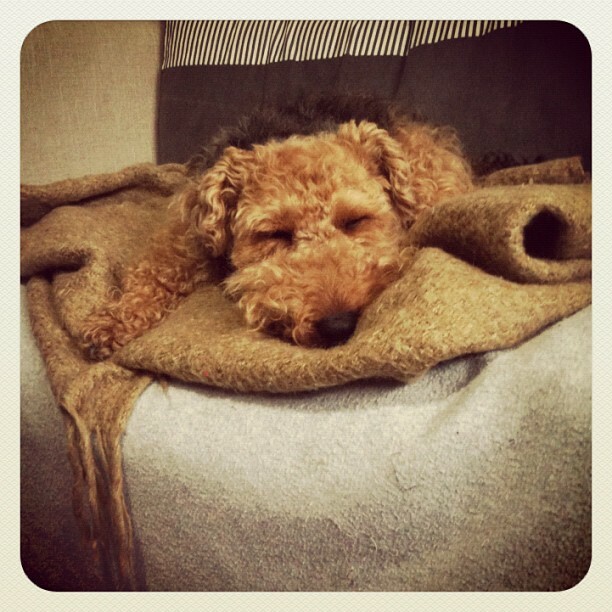 I have taken to recording this daily theft under the title of The Daily Blanket, so if you want to keep up with the sleeping habits of an East London Welsh Terrier, then look up edwynuk on the Instagram app. I do photograph other things, but it’s mostly all about the dog! PS. Whilst on the subject of blankets, if you don’t know it already, you must check out the wonderful Under the Blanket blog by BlanketID. An ex Brit in Canada who does an amazing round up of fantastic doggie related fabulousness… as well as producing very stylish dog tags and id system…… we’ve even been featured on there too! ← Woofs to Kittys Battersea – it’s open!